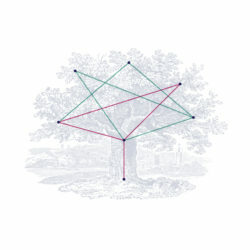 Footprint Digital has a close relationship with the University of Essex and Greenwich University. We are looking for smart, passionate and ambitious future web marketers to help our clients learn how to make more money online. Throughout your time with us we will support you to learn, play and grow. DO YOU WANT TO WORK IN AN INCREDIBLE ENVIRONMENT WITH A COLLECTIVE OF EXPERTS THAT WILL CHALLENGE YOU TO ACHIEVE EXCEPTIONAL THINGS? The Footprint Digital FREE Digital Marketing Executive Course is an incredible opportunity to start your career. It is the perfect bridge between academia and ‘the real world’. It is a 22 Day course that equips you with the necessary skills to work either at Footprint Digital, or elsewhere. We will offer this course for FREE to 6 Essex University or Greenwich University Students that will conclude their studies in 2019 (The course retails at £2,495+VAT). On completion we hope to offer full time jobs to 4 people from the course starting in October 2019, at a starting salary of £18-22,000 (depending on experience). We also support those that we do not offer full time roles in finding a marketing role by introducing them to our clients and people in our network. 100% of those that have taken the course in the past have found employment. Typically, this volunteer placement coincides with term time at the University of Essex/ Greenwich, running from June to September. Hours are generally 2 days a week (9:30am to 4:30pm) and allow postgraduate students the time needed to complete their dissertations alongside the course. 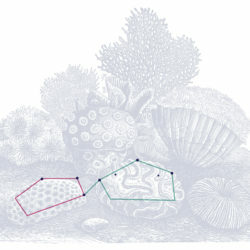 Sponges (not stones). We’re looking for people that want to absorb everything they can. 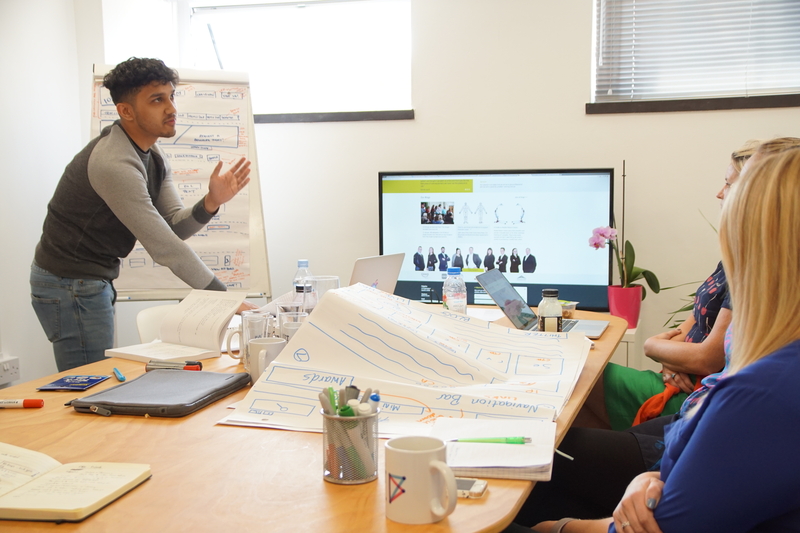 You will be taught by some of the best Digital Marketers in the region and will gain practical experience. The course is very competitive and previous successful applicants have been in the top few of those on their Masters course. Watch the videos below to see what it is like to work at Footprint Digital and keep scrolling for more information about the course and how to apply. Scroll down for more information on how to apply and click here to see What is it like to work at Footprint Digital? Includes Tea, Cake and Ice Cream! The course is for bright, highly motivated individuals, who are willing to put the hard work in as well as have fun! 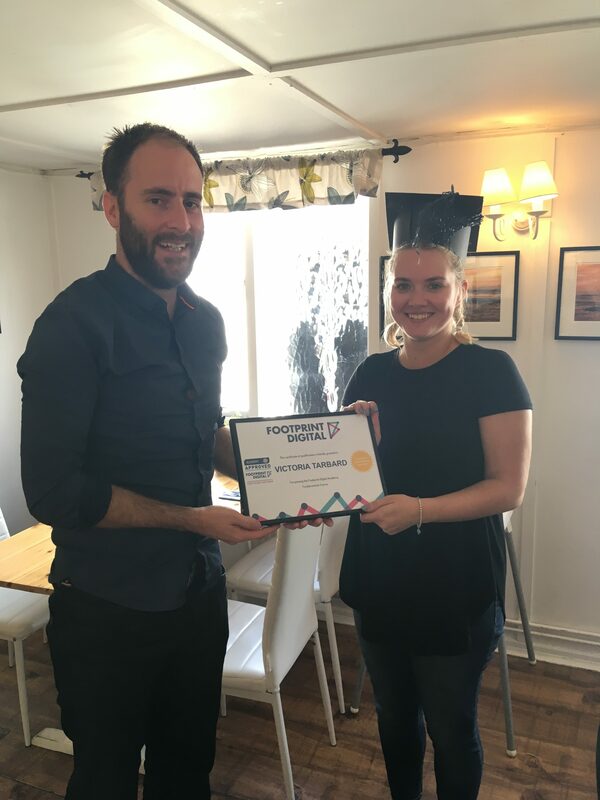 The Footprint Academy Fundamentals course provided me with a unique opportunity to explore digital marketing in a friendly and intellectually stimulating environment. One of the major advantages of this course is the combination of lectures about essential digital marketing topics and exercises, where theory and practice are combined. 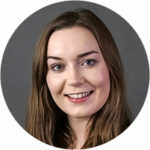 Before starting this course I was completely unfamiliar with principles of conversion rate optimisation (CRO), pay per click (PPC) advertising and search engine optimisation (SEO). 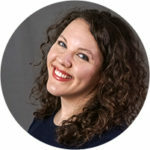 Thanks to Footprint’s professional expertise and very engaging teaching approach, today I feel much more confident using these digital marketing practices in daily life. As follows, the Footprint Academy course definitely helped me to broaden my professional and personal horizons. 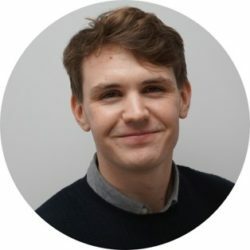 I would definitely recommend it to any online business seeking professional digital marketing support or anyone who is interested in enhancing digital marketing skills. 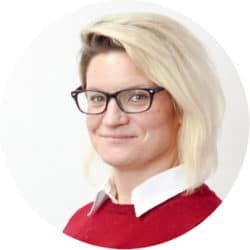 “Thanks to Footprint's professional expertise and very engaging teaching approach, today I feel much more confident using these digital marketing practices in daily life." 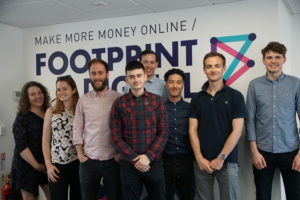 The Footprint Academy Fundamentals course provided me with a unique opportunity to explore digital marketing in a friendly and intellectually stimulating environment. One of the major advantages of this course is the combination of lectures about essential digital marketing topics and exercises, where theory and practice are combined. Before starting this course I was completely unfamiliar with principles of conversion rate optimisation (CRO), pay per click (PPC) advertising and search engine optimisation (SEO). I was also absolutely fascinated by Footprint’s company culture, it’s vision and core values. Company is dedicated to building a team with strong commitment to continued learning. Here all employees enjoy working together as they work not just for, but with the company, while office always feels like a very welcoming place. Being a masters student, I really enjoyed the fact that Footprint team was very supportive as they did everything possible to ensure that this course does not interfere with my academic commitments. As follows, the Footprint Academy course definitely helped me to broaden my professional and personal horizons. I would definitely recommend it to any online business seeking professional digital marketing support or anyone who is interested in enhancing digital marketing skills. Before embarking on the Footprint Academy Fundamentals Course I had very little knowledge of SEO, PPC, and CRO! Whilst I thought that this could have been an issue, I quickly realised that the course was designed to support people like me, someone with little knowledge on the subject but who was willing and eager to learn! 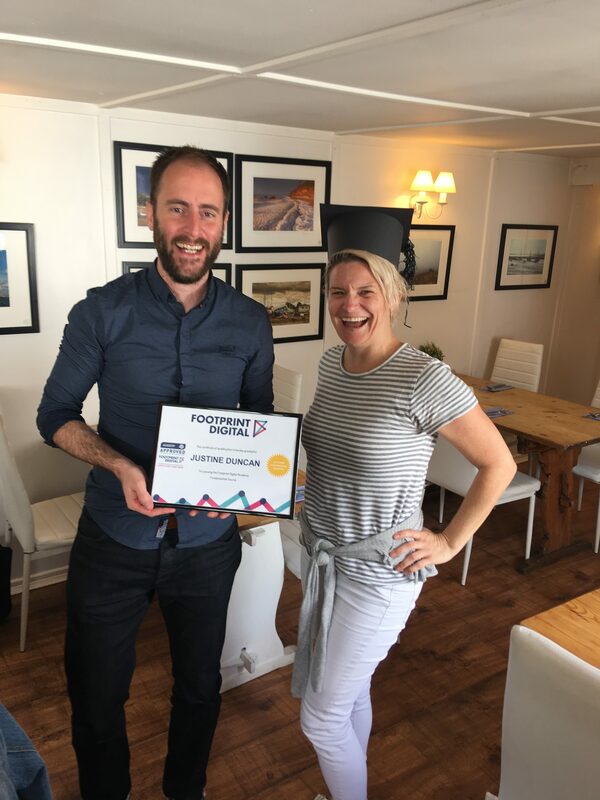 The team at Footprint Digital were supportive and friendly from the start, and it was clear how much work they had put into creating the course. They were all fantastic teachers, and delivered each session brilliantly. The broke the topics down into manageable chunks, answered question after question, and explained everything so that we could understand. I enjoyed every day on the training course, and learnt so much! I now work full time at Footprint Digital and manage my own department! 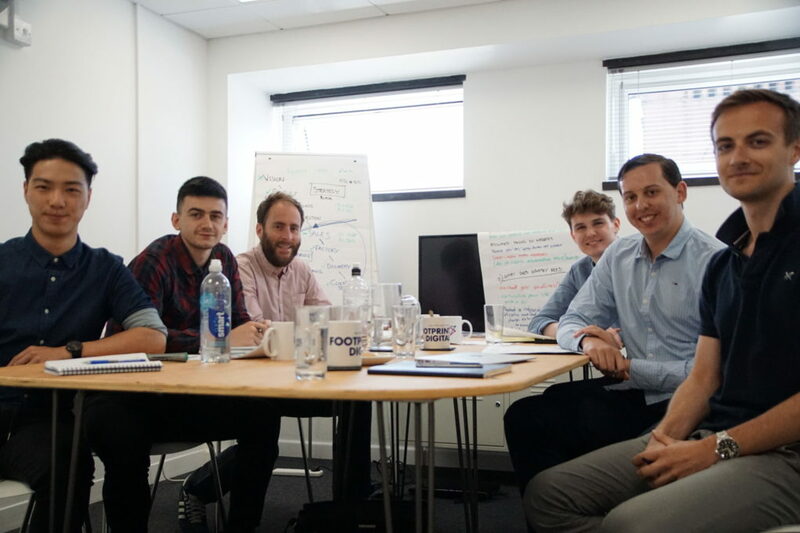 "I cannot recommend the Footprint Academy or the company as a whole more highly, if you get the chance you should definitely apply!" 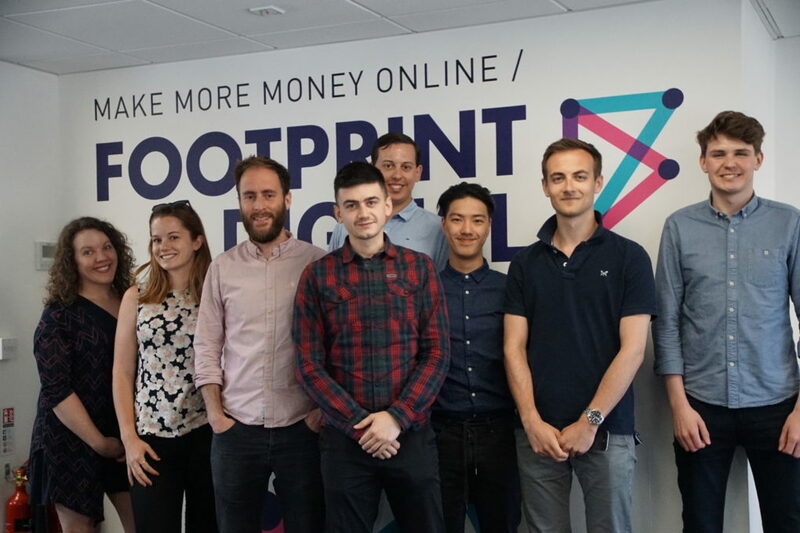 In the summer of 2017 I was lucky enough to take part in the Footprint Academy, a 26-day intensive course covering the basics of digital marketing. 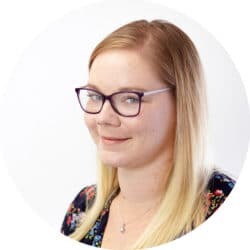 Although initially nervous – I was a recent history graduate, with no experience in marketing or business – Footprint’s friendly staff delivered interesting sessions packed with information. I really enjoyed the course and felt like I learned a huge amount, something which has come in handy as I was offered a full-time position which I have recently started. I cannot recommend the Footprint Academy or the company as a whole more highly, if you get the chance you should definitely apply! 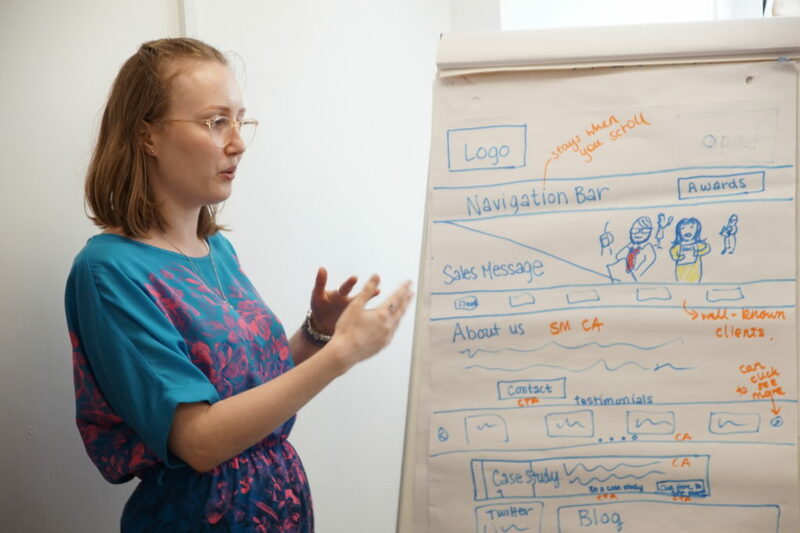 I undertook the Digital Marketing Executive Course this summer, and it was brilliant. 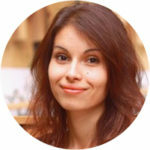 As a novice to SEO, PPC, and the like, and it was perfectly pitched so that I could understand everything. 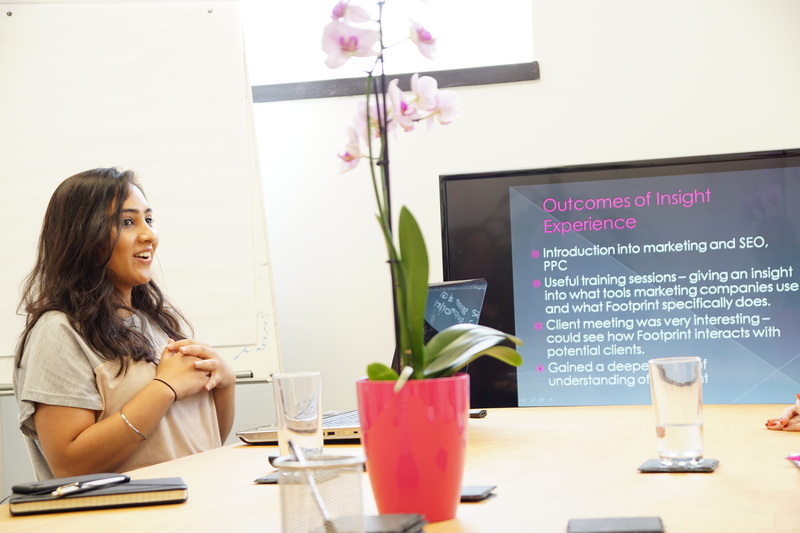 Now working in the industry, the course at Footprint Digital was essential to making that happen. A wonderful course delivered by wonderful, friendly, knowledgeable people, who are clearly experts in their field and have great relationships with their clients. Vital skills for businesses in the modern world, essential for anyone studying marketing at Uni or similar. 10/10, would recommend wholeheartedly. 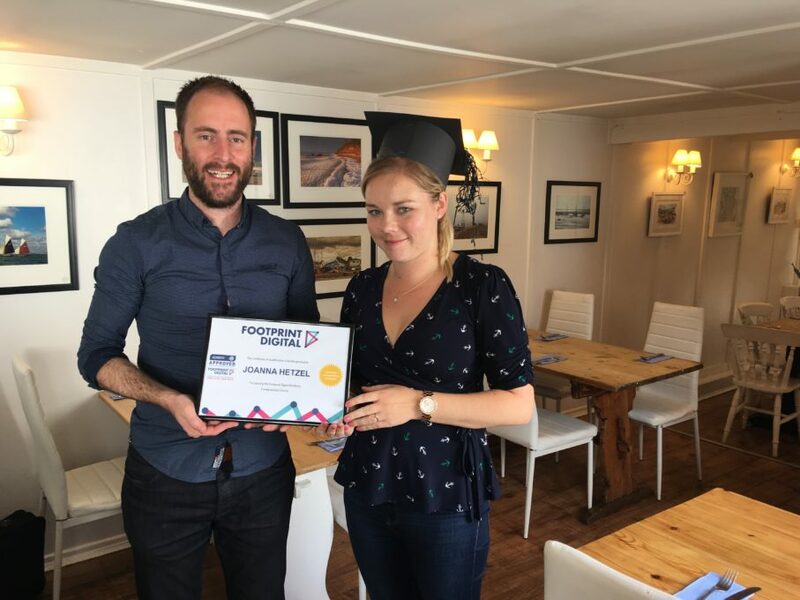 I attended the Footprint Digital Marketing Executive course over the summer 2018 and absolutely loved it! Firstly, everyone there was so welcoming, kind, and so so experienced. Secondly, the amount that I learned during the course was incredibly invaluable. My knowledge during the course grew exponentially on SEO, PPC, CRO and many other aspects to digital marketing including Google Analytics, tracking, site build and migration to project management and social media. These guys are experts at what they do! Upon finishing the course I was offered a position at Footprint Digital and now I love working here. I can’t recommend the Footprint Digital training courses enough! 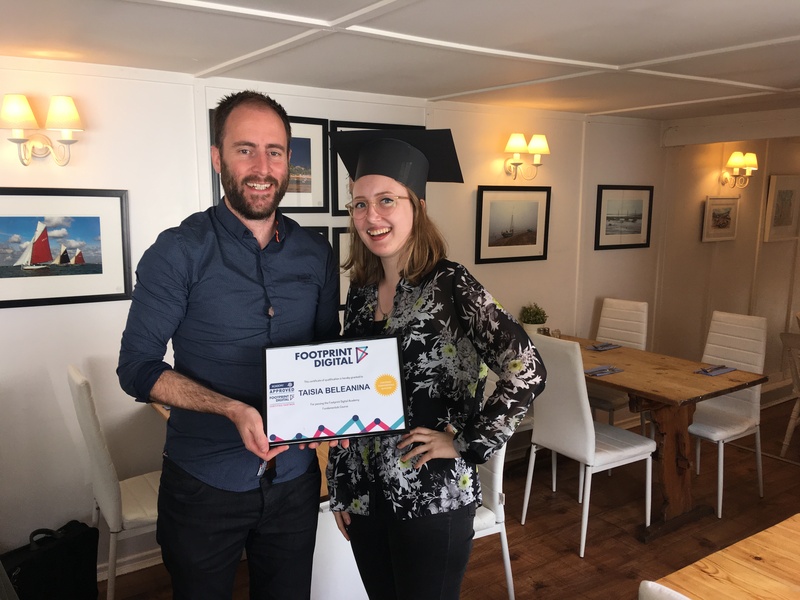 I completed the Digital Marketing Executive course with Footprint Digital over the summer and it was a very interesting and rewarding experience. 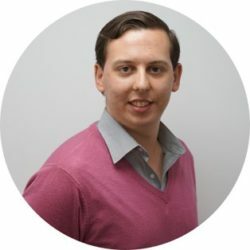 I have a background working in search engine optimisation (SEO) and it was very useful to learn about the other elements that make up Digital Marketing. Great course, would highly recommend. "a very interesting and rewarding experience"
We recognise that you are unlikely to have experience at this stage of your careers so the CV or letter does not have to be formal, but, please make it interesting and tell us the exceptional things you have achieved in your life so far and things you would like to achieve in the future.